Well, after a year in Los Angeles I kinda accepted the fact that certain things are not going to be a part of my life in autumn anymore: foliage season, split pea soups, umbrellas, winter jackets and fresh quinces... Hey, but I still have The Whisky Extravaganza Fall Chapter to rescue me... 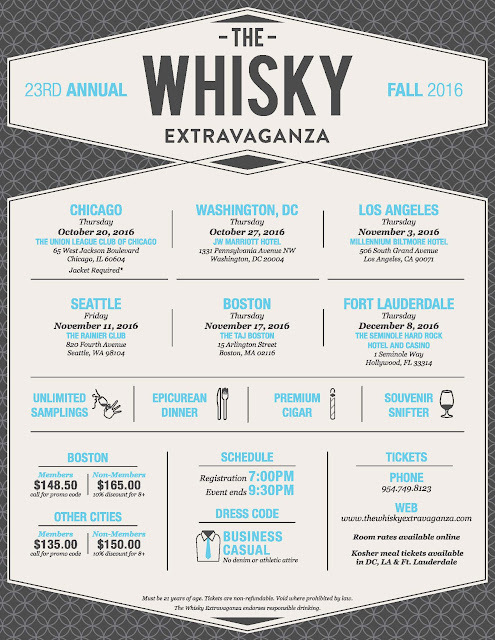 This year The Scotch Malt Whisky Society's six city fall tour kicks off October 20th in Chicago and reaches West Coast in Los Angeles November 3rd..! Join "tire-bouchon" on November 3rd at Millennium Biltmore Hotel in Downtown, Los Angeles for a great night of whisky samplings, tasty food, premium cigars and tons of fun. It will be an exciting night where latest releases from participating distilleries, blenders and independent bottlers will be poured, brand ambassadors, bloggers and whisky enthusiasts will meet and geek out for a solid two and a half hours. You can get your tickets from The Whisky Extravaganza's website or call simply the number 954 749 8123... 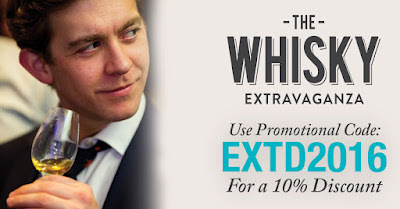 When you do that do not forget to use the code "EXTD2016" to claim your 10% discount. The event starts at 7:00PM and ends at 9:30PM... Put your nice suit on or wear a kilt to make a bolder statement... Always a winner. Don't be late though and make sure to find me to share a dram or two if you can... See you there..!